This V-Net module is used to communicate the serial data stream from an AEM EMS unit into RacePak's V-Net System. This V-Net module is used to communicate the serial data stream from an Autronic SM4 EFI unit into RacePak's V-Net System. This V-Net module is used to communicate the data stream from an EFI Tech ECU into RacePak's V-Net System. V-Net module for monitoring four channel inputs. This V-Net module is used to communicate the data stream from a Holley Dominator into RacePak's V-Net System. This V-Net module is used to communicate the serial data stream from a Hondata K-Series ECU into RacePak's V-Net System. This V-Net module is used to communicate the serial data stream from a MoTeC RS232 output into RacePak's V-Net System. This RPM module connects digital inputs such as Driveshaft, Fuel Flow, etc. to your Pro 1B/ Pro II data logger. This RPM module connects digital inputs such as Delay Box, TDC, etc. to your Pro 1B/ Pro II data logger. This EGT module connects the EGT junction boxes to the Pro III’s network of sensors. 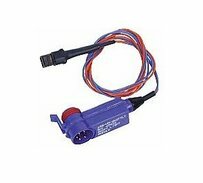 This RPM module connects digital inputs such as Engine RPM, Driveshaft, Fuel Flow, etc. to your Pro III data logger. 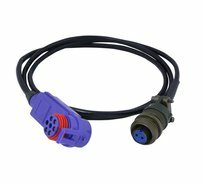 This RPM module connects digital inputs such as Inductive RPM, Mag Phase, TDC and the On/Off cable to your Pro III data logger. Pro III series warning light modules. Used to trigger a warning LED. 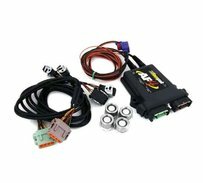 This RPM module connects digital inputs such as Engine RPM, Driveshaft, Clutch, Fuel Flow, etc. to your Pro IIIA data logger. G-Meter module for Pro Analog Transducer Box (original series). Strain gauge module for Pro Analog Transducer Box (original series). 0-5 volt module for Pro Analog Transducer Box (original series). Supplies 12 volt power to the sensor. Vacuum module for Pro Analog Transducer Box (original series). 0-15 PSI module for Pro Analog Transducer Box (original series). 0-60 PSI module for Pro Analog Transducer Box (original series). 0-100 PSI module for Pro Analog Transducer Box (original series). 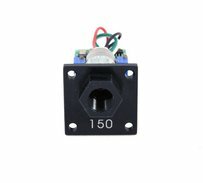 0-150 PSI module for Pro Analog Transducer Box (original series). 0-200 PSI module for Pro Analog Transducer Box (original series). 0-300 PSI module for Pro Analog Transducer Box (original series). 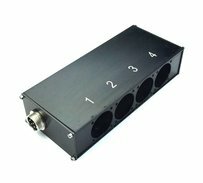 0-400 PSI module for Pro Analog Transducer Box (original series). 0-500 PSI module for Pro Analog Transducer Box (original series). 0-600 PSI module for Pro Analog Transducer Box (original series). 0-750 PSI module for Pro Analog Transducer Box (original series). Temperature module for Pro Analog Transducer Box (original series). Fuel temperature module for Pro Analog Transducer Box (original series). 0-5 volt module for Pro Analog Transducer Box (original series). Supplies 5 volt power to the sensor. 0-1000 PSI module for Pro Analog Transducer Box (original series). 0-1500 PSI module for Pro Analog Transducer Box (original series). Strain gauge module for Pro Transducer Box (Series II). CAN adapter module to communicate with MSD PowerGrid through Pro Transducer Box (Series II). Mag current module to monitor coil amperage using Pro Transducer Box (Series II). Hall effect RPM input module for Pro Transducer Box (Series II). 0-5 volt module for Pro Transducer Box (Series II). Supplies either 5 or 12 volt power to the sensor. Battery voltage module for Pro Transducer Box (Series II). 0-15 PSI module for Pro Transducer Box (Series II). 0-60 PSI module for Pro Transducer Box (Series II). Shift light module for Pro Transducer Box (Series II). Zero crossing RPM input module for Pro Transducer Box (Series II). 0-100 PSI module for Pro Transducer Box (Series II). 0-150 PSI module for Pro Transducer Box (Series II). 0-300 PSI module for Pro Transducer Box (Series II). 0-500 PSI module for Pro Transducer Box (Series II). 0-750 PSI module for Pro Transducer Box (Series II). Vacuum module for Pro Transducer Box (Series II). Temperature module for Pro Transducer Box (Series II). Fuel temperature module for Pro Transducer Box (Series II). The Universal EFI Interface Module streams CAN-based data from aftermarket ECU systems to Racepak's V-Net System. 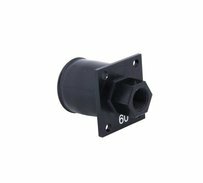 This V-Net module is used to monitor any 5 volt reference sensor with an isolated ground to prevent inaccurate readings. This V-Net module is used to adapt third-party air/fuel sensors into the Racepak system. 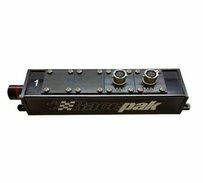 This V-Net adapter module allows users to monitor 4 analog inputs from a Racepak transducer box (PN: 810-MB-08P). 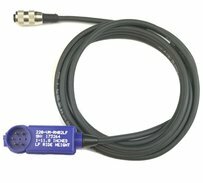 This V-Net module connects the Laser Ride Height sensor (PN: 810-SN-RHB2) to any V-series recorder. Replacement V-Net module pressure module. 500Hz V-Net Shock Travel Module for Sportsman, IQ3 Drag and G2X data loggers. This V-Net module can be used with Racepak's turbo shaft speed pickup (800-SS-TBRPM). Sensor sold separately. Warning light modules which activiate an LED style warning light. For use with the Pro III warning light module.